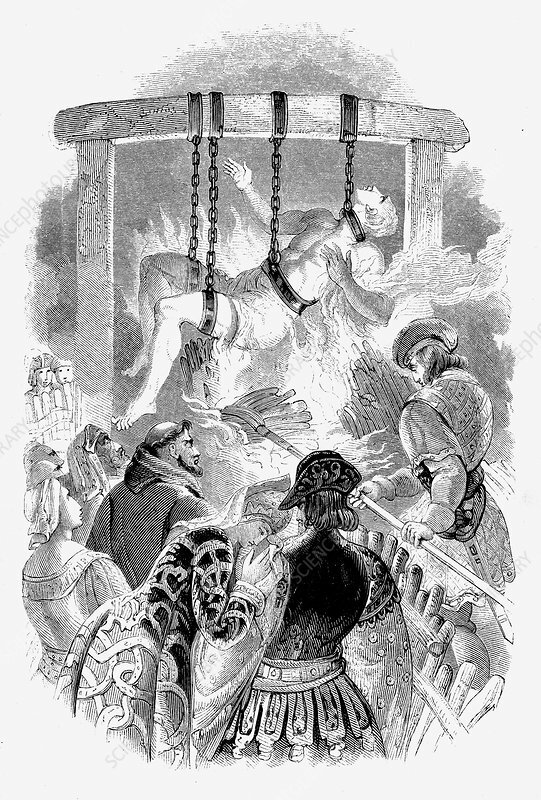 John Oldcastle, Lord Cobham, Lollard leader, condemned as heretic for denying transubstantiation and hung and burnt hanging in St Giles's Fields, London, 1417. Original model for Shakespeare's John Falstaff. Wood engraving, 1848.